REVIEW SUMMARY: A strong third entry in the Books of the Raksura series by Martha Wells. PROS: Strong writing, especially with regards to the social relationships and conflicts within the Raksura; more interesting worldbuilding. BOTTOM LINE: A welcome way to round out the three Books of the Raksura. Moon has led a varied existence in the first two books of the Raksura (The Cloud Roads and The Serpent Sea). He has learned that he is not a freak of nature, but is instead part of a complex and interesting race of beings…and an important one, even given his feral nature. He has learned to slowly adapt himself into the world of a Raksuran Court, Indigo Cloud, and shed some of his hesitancy and reluctance to engage with others and build relationships. He has faced the implacable enemies, aided his clan in picking up stakes and moving back to their ancestral homeland of The Reaches. Moon has learned to deal with the rival Court Emerald Twilight, and learned much about himself in the process. Now, though, a rival Court, Opal Night, exercises a claim on Moon — one based on their contention that Moon’s mysterious and shrouded origins actually tie back to them. But why does such a large and powerful Court want or even need Moon, anyway? It can’t be as simple as a power play on the small court of Indigo Cloud — so what secrets could Opal Night be hiding? And The Fell are on the move. Worse, they have a plan that could spell danger not only for Opal Night, not only for Indigo Cloud, but for the entirety of the Reaches and beyond. I had believed that the Books of the Raksura ended with The Serpent Sea but I joyfully have been proven wrong. In The Siren Depths, Wells brings us full circle and, in a real sense, back to the beginning. Since the start of the Books of the Raksura series in The Cloud Roads, the story of Moon’s origins has been a simple if murky one. He’s been alone for years, the Raksura that raised him killed long ago. He had no idea what he even was until Stone, the line-grandfather for Indigo Cloud, discovered him. There are a seemingly limitless number of sentient humanoid species in the universe of the Three Worlds, after all, although his shapeshifting was something Moon kept a deep secret, even among those he lived with and loved, for obvious reasons. Moon’s lack of knowledge of the full story of his origins with the Raksura has has been a Chekov’s Gun that has remained unfired all of this time. In The Siren Depths we discover where Moon came from, why he and his mother were alone and how that ties into the social web of relationships among the Raksura. In addition to revelations of Moon’s past and what it means for his present, The Siren Depths marks the return of The Fell from The Cloud Roads. In a nice braiding of plots, the return of the Fell is not unrelated to the reason why Opal Night has demanded Moon be repatriated to their Court, and why and how Moon came to be in the first place. And, as always, the writing is strong, bright and clear. The voices of the characters are all nicely distinct, in tone and style of speaking as much as other cues. The suite of new characters hold up well, and the three main courts we see in the novel (Indigo Cloud, Emerald Twilight and Opal Night) together show a range of characters and relationships. What didn’t work in the novel for me? The greatest weakness I found in the novel is the pacing of the final section. 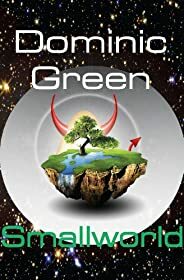 The first two-thirds of the novel set up our conflicts and situation very well, with Moon being shipped off to Opal Night, learning his true past, and dealing with the consequences of who and what we is. In addition, the threat of the Fell is established and looms over the narrative and its characters like a Sword of Damocles. When push comes to shove though, there is a little too much economy in the amount of pages and time spent with that conflict. The story beats are all there, mind you, but it just feels a little too abbreviated as compared to the rest of the book. The payoff doesn’t feel as large as it should be. What this resulted in is this reader being more invested and more interested in the Court interactions than the “A” plot of the Fell (from which the title of the book gets its name). Although this novel nicely rounds out the story of Moon and the rest of the Raksura, there is still plenty more to explore with these characters, and the Three World setting in general. If and when should the author return, I would absolutely be up to immerse myself in this rich secondary world fantasy setting again. And for readers who haven’t tried Wells’ Books of the Raksura, this is definitely not the place to start, especially because of how much it does reveal of Moon’s origins and history. Start with The Cloud Roads and see for yourself the wonders the author can show you. eBook Deal: Get THE CLOUD ROADS by Martha Wells for only $1.99! Why oh why did Night Shade Books not publish this for Kindle yet? In the interest of full disclosure (and as seen on Twitter), here are the books we received this week. What's special about today's free fiction? Buzzy Mag has an urban fantasy short story by William Meikle Daily Science Fiction has some science fiction goodness from Kate O'Connor For those who haven't, it's time to give some Conan a listen.